Reading to Learn in Science from the Stanford University Graduate School of Education #makereducation « Adafruit Industries – Makers, hackers, artists, designers and engineers! Stanford University launched a new MOOC last week, Reading to Learn in Science, which is aimed at STEM educators with the goal of increasing literacy through the “unique” language of science. 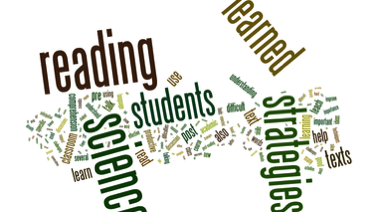 Why do so many students struggle to read and comprehend scientific texts? Most science teachers have witnessed it at least once: a student reads from a textbook or article, proceeding calmly and clearly from sentence to sentence, only to reach the period at the end of the paragraph with little comprehension of what he or she has just read. Even children who learn to read quickly—who begin to devour books or blogs, novels or news stories—often seem to struggle with scientific prose. As a teacher, these struggles raise important questions: Which texts should my students read? What should I do if they struggle to understand? Am I teaching a text too quickly? Too slowly? Will more reading become an uphill battle? Will less reading become less rigorous, a slippery slope that will make reading even more difficult for my students? This course is designed to address such concerns, giving teachers the tools to help students read for understanding in science. Its four course sessions last a total of twelve weeks, and are equivalent to about 20 hours of professional development “seat time” altogether.